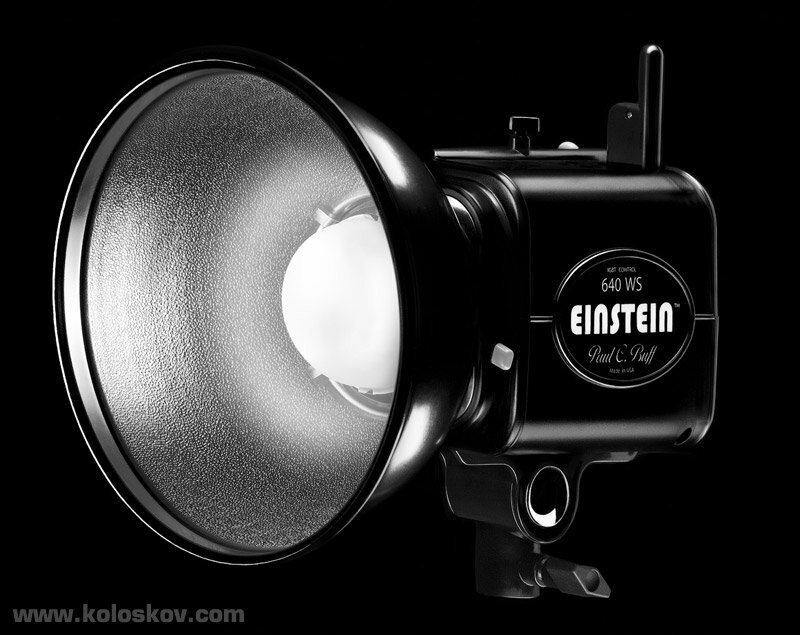 From Idea to Implementation: Einstein 640 Creative Shot. 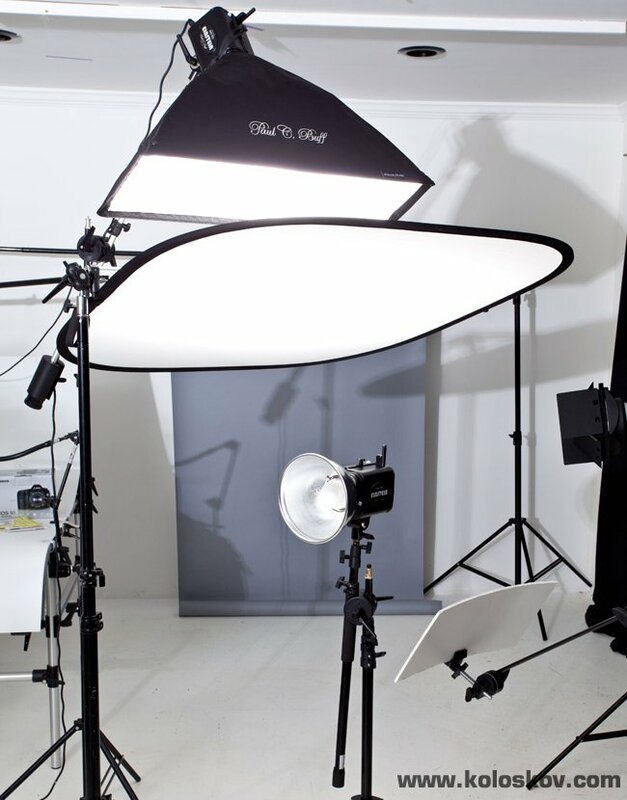 What is the most important behind any decent studio shot? The idea, right Without idea (concept) there is no way we can create anything really good and remarkable , regardless of how good the technique was. Obviously, bad realization can kill any idea. This is why I like to create the image from concept development to its implementation. It doesn’t happen when we get completed, “ready to work on” assignment request form the client, where they specify what exactly they want to see on the final image. 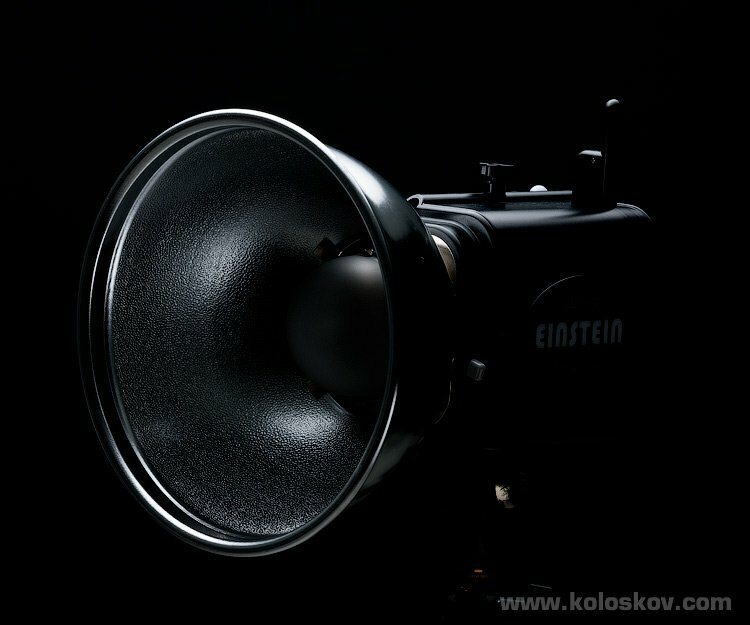 A creative image of PCB E640 strobe (my favorite monolight so far), all on a black background with no direct light from a camera side. 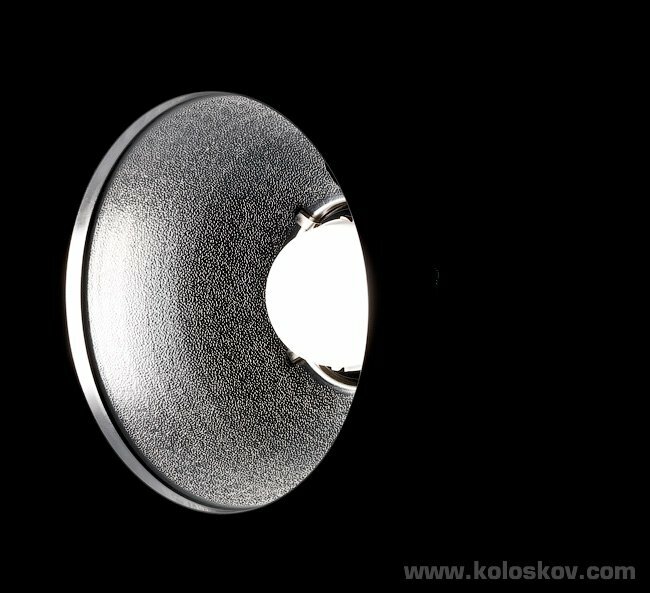 The only edges of the monolight will be visible, same for the outer reflector’s surface. 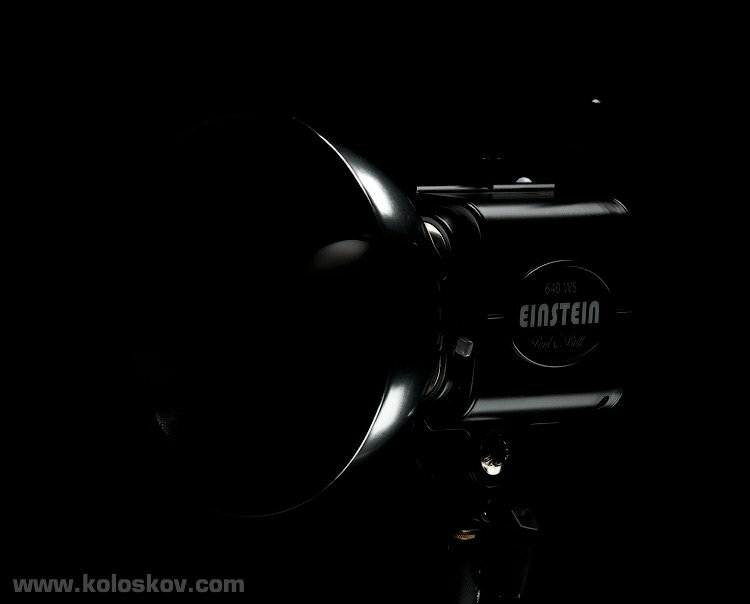 The label “EINSTEIN” on a side of the unit should be visible. 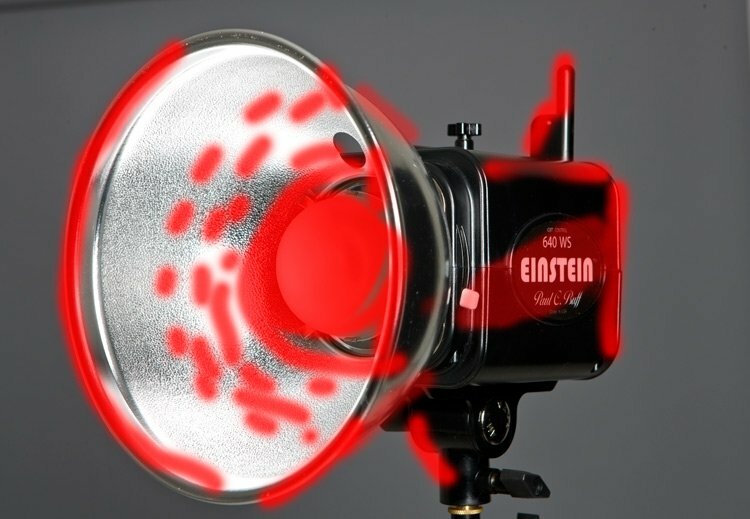 I’d like to create an expression similar to what we would possibly see if can capture the moment right after flash was ignited in a flash tube of the unit being photographed. Imagine that we can stop time so it will be visible how the light start spreading, like the air starts to glow itself. 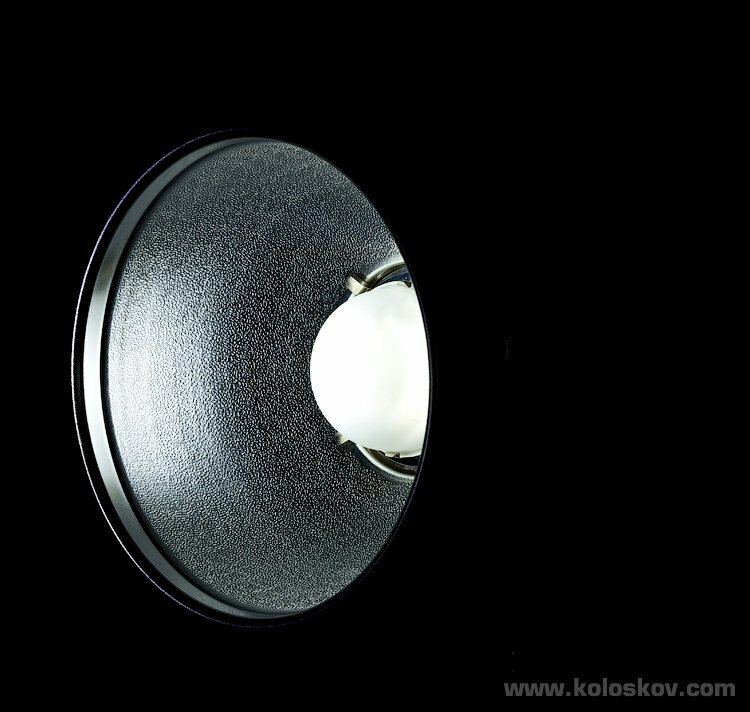 The central bulb with or without the cup should be highly overexposed, and then brightness of the light will fall off exponentially all around the reflector. The draft below shows the position of the subject, red areas is what I want to be highlighted, the rest to be dark. This was something I never did before, and most likely we’ll need to use Photoshop to get desired look. 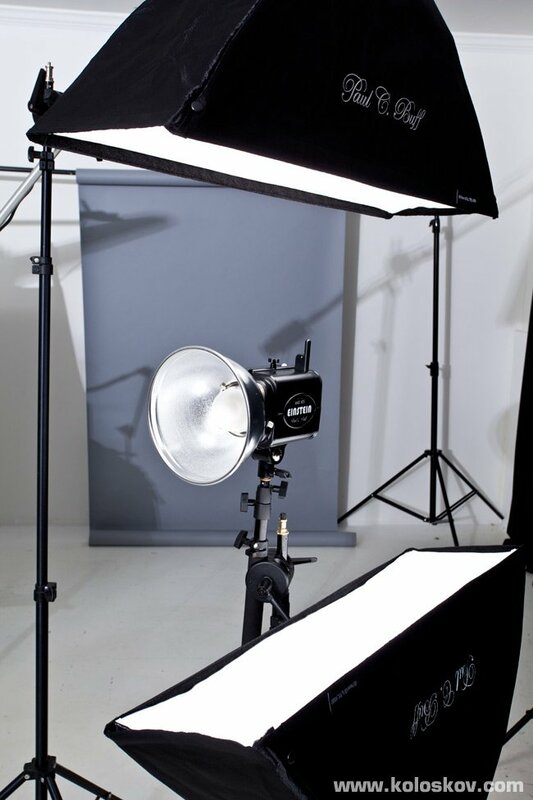 However, I was determent to do as much as I could with the lights and the camera. Honestly speaking, this is very close to what I had in mind. Two stripboxes, from the top and the bottom. The angle was sharp enough to create highlights only on the edges of the monolight. I did not like the spills on the front plate of the strobe, and wanted to get even more contrast lighting. 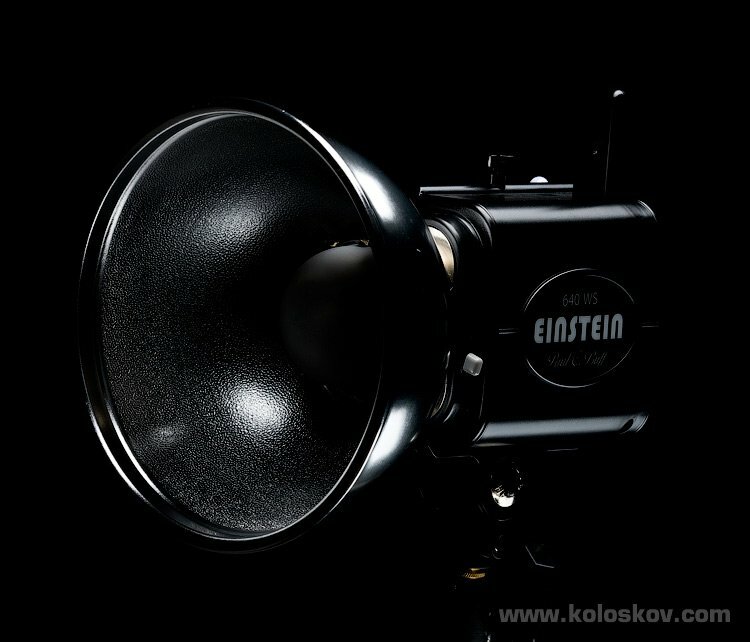 So, I isolated the light by adding a black screen on the bottom half of the stripbox surface and covered the one the same way, making a small square-box from both stripboxes: only the area on the top and bottom of the subject was not covered (I do not have image for this, hope you’ll be able to understand what I am talking about:-)). As you can see, several thing got lost (no reflector behind, for example). However, this image could be used for a future Photoshop play. I always work keeping in mind a possibility to use a composite image instead of a pure “single-shot” photograph. 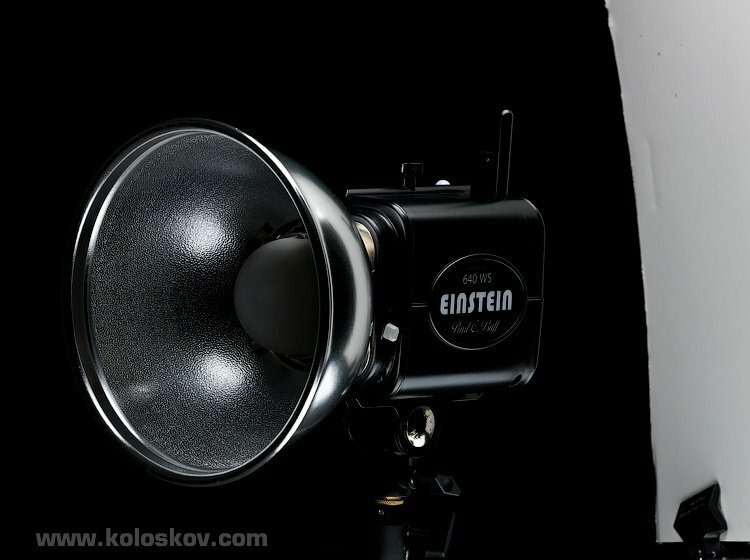 This time was no exception: From the beginning, I was planing to shoot the monolight body and the flash bulb/reflector in separate sots. The plan was to use a light brush technique to simulate a flash discharge: it will give me much more control of what and how much to expose there. Also, I suspect that even at lowest power settings (~3Ws) direct shot of the flash bulb will me problematic (it appears that I was right). Very close, right? I could fix the brightness issue by using a neutral density filters, but I liked the image from the light brush, plus this one was missing the circular reflection from the outer edge of the reflector: flashgun did a great job creating this tiny circle on a previous photo. Later we combined the images in one. The bright halo was added in the last attempt, that was the 100% artificial part of the image, done by Photoshop.